And today was Luffy's birthday! Huh? Don't you know who is Luffy? He's the protagonist of Onepiece! 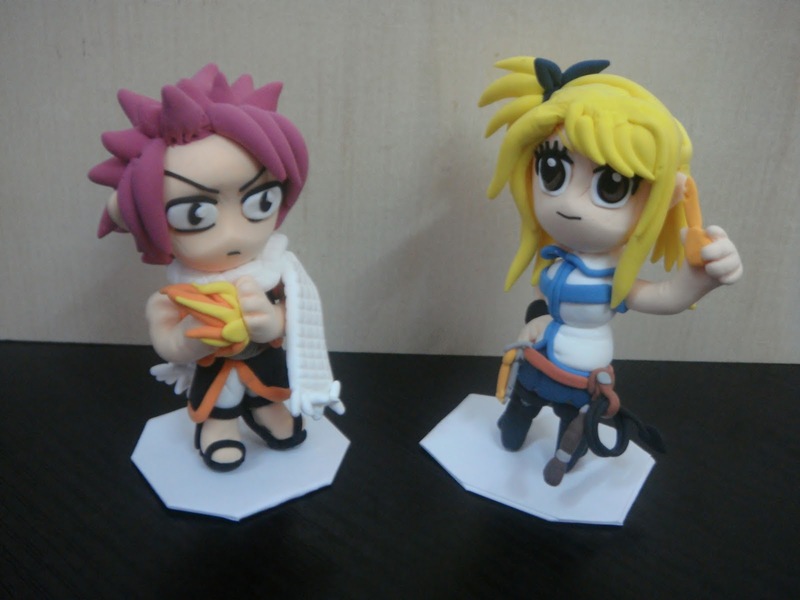 Yup its Natsu & Lucy from Fairy Tail! 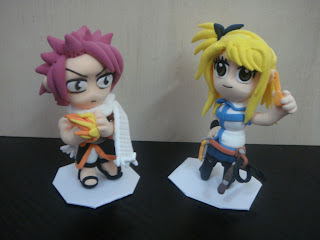 Nowdays the most popular anime was Onepiece, Naruto, Bleach and Fairy Tail. Although the others three was more popular than Fairy Tail but I still like Fairy Tail more. Yes, its Lucy, maybe you will think she was 'Poker Face' thats because I used yellow clay to made her eyebrowns. Anyone can request for anything or characters you like, I maybe could try it.